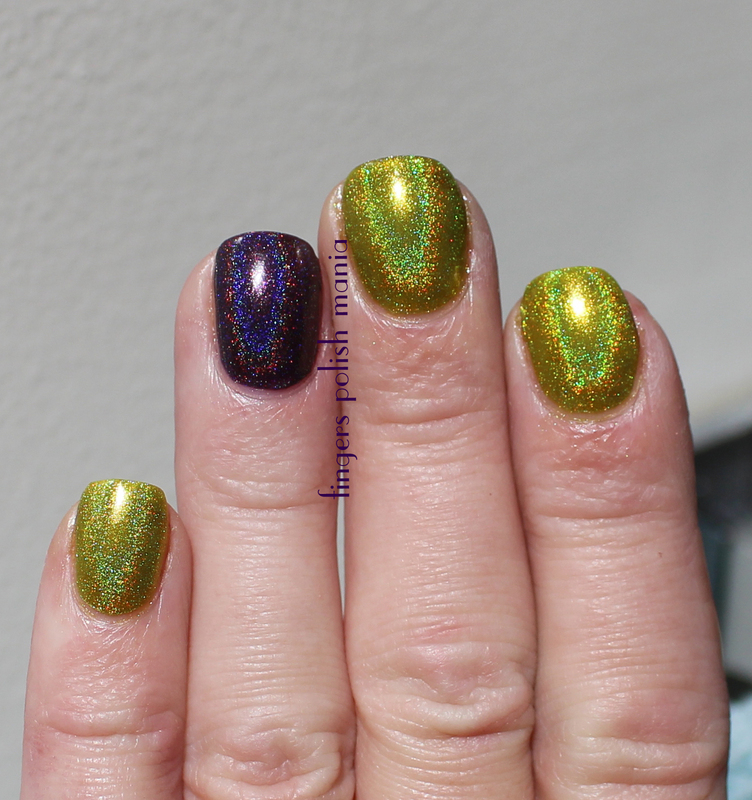 You guys know how I just love to try different polish color combinations. Most of the time, they come out great. Today's though, I'm not so sure. This will be the last post for about a week as it's my birthday in two days and my mom is staying with me for the week. I'll be taking a short break to do stuff with my mom and go car shopping on my birthday. I've still got my eye on a 2016 Honda Civic stick in the deep burgundy color. It's the only color they have right now that even remotely interests me. My only choice is the base model as it's the only one that comes in a stick. So f*cking sad that the world has lost the love of the stick. Although after I spent four hours this past weekend on my hands and knees weeding my long driveway, my legs hurt like hell and driving a stick to work was very unpleasant. I wouldn't trade it for anything. It's just more fun to drive a stick. Shifting gears like a race car driver. My dad always used to say that I should have either been a race car driver or a truck driver. Almost got busted by the Man the other day driving home. I was doing 80mph in a 60mph area and he was out there with the stun gun trapping speeders. I honestly thought as I blew by him that I was busted, but he didn't get in his car at all. I wonder if he was out there just seeing how badly everyone speeds through that part of the highway. All I know is I didn't get a ticket that day. Oh and if I don't buy a car next week, I'm over due for my annual car inspection. Remember, I'm always at least a month late doing that as it's just stupid and I hate doing it. I just went on TrueCar.com. They have the prices you should be paying for new cars. The model I want, I should be able to get for about $18,340. My trade in 2012 sells for between $11,000 and $15,000. So I figure if they give me about $10,000 for the trade in, I can finance the last $8000 or so and the payments shouldn't be too bad. Cross your fingers people. I've always been the best haggler in the world. One time, mom and I were in the dealership for three hours as I kept walking out when they wouldn't give me the price I wanted. They kept calling me back with a better and better price. Yeah it sucked being there three hours, but so worth that low price! I'll let you tell me if this color combo works or not! This Jade is from Brazil and is not three free or five free. Let me also tell you it stinks to high hell with its chemical make up. I could hardly stand it! 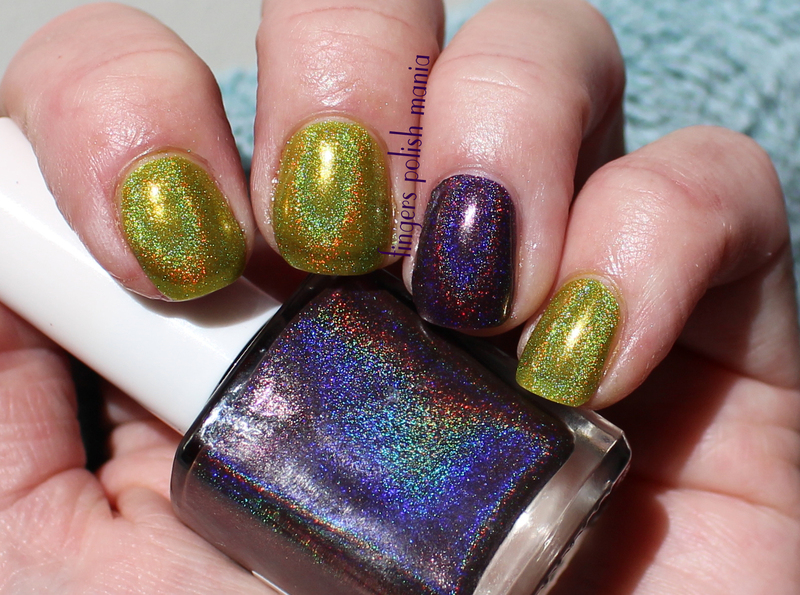 Although it does make for an awesome holo, it just ain't worth the smell!